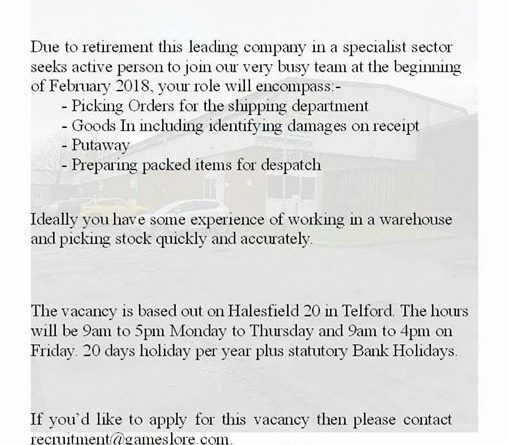 Vacancy at Telford Board Games Distributor. 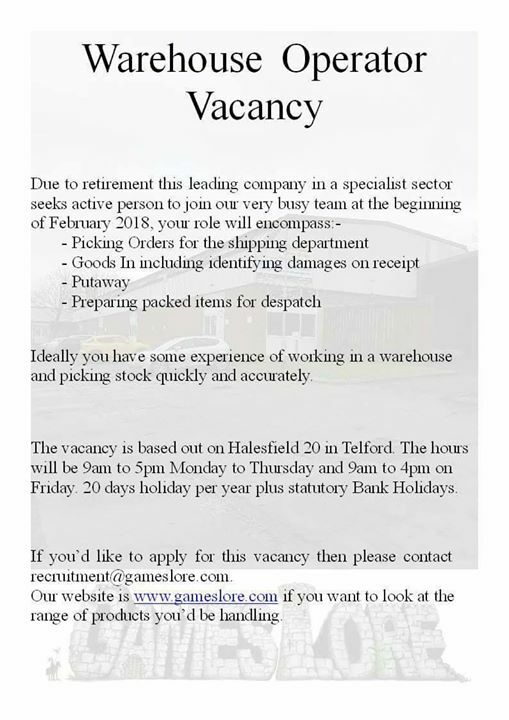 Gameslore are recruiting for a warehouse operator on Halesfield. Well established company.